These are indeed rocky times for the Irish low-cost high-fees airline Ryanair, and those turbulent times for the airline are set to continue for quite some time to come. Not only is the airline facing a multi-million euro compensation bill over the hundreds of flights it has cancelled, first over trying to get a better on-time performance and then pilot holiday issue. Now the arrogant airline is having to face a barrage of legal action and sanctions from numerous avenues. Following accusations of intimidating passengers as they attempt to claim compensation from the airline, FairPlane, the no win no fee law firm that specialises in flight delay claims, has written to Ryanair demanding an for an apology and damages after the airline sent letters to its customers who had instructed it to obtain compensation due under EU legislation. 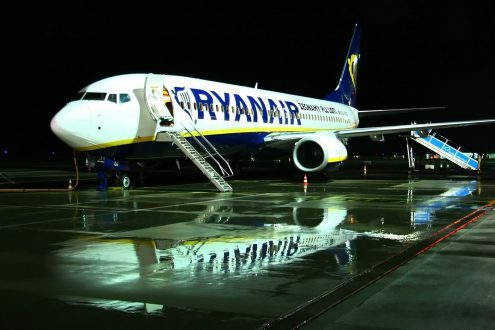 Read more about the Ryanair being accused of defamation, harassment and unlawful interference as well as action from both the Belgian and Italian governments and a possible strike by staff. Debenhams Ottaway, acting for FairPlane, accuses Ryanair of “defamation, harassment and unlawful interference” after Ryanair questioned in a letter to passengers using the firm whether they had “actually agreed to assign [their] claim”. The solicitors claim Ryanair is wrongly telling passengers that FairPlane is claiming to own their compensation claim. The letter goes on to say the clients only “appear… to have a valid claim” and that they would receive “100 per cent(sic) of [their] compensation… without deducting any legal fees or taking a cut” if they stopped using FairPlane and instead contacted the airline direct. Ryanair knows that they would have more chance of denying the claim or reducing the amount it pays if FairPlane (and other legal claims firms) were not involved. It isn't just passengers that are taking legal actions, the Belgian government has launched its own action against the airline for being 'unprofessional'. Kris Peeters, the Deputy Prime Minister has announced plans to sue Ryanair over a number of failings. Including only communicating with Belgium's French and Dutch-speaking customers in English as well as failing to properly advise them of their legal rights. "I have lodged a cease and desist action against Ryanair, which if accepted will bring fines against the firm if the practices continue," Kris Peeters said. The Italian civil aviation authority is also preparing action on the airline and announced it was preparing to impose sanctions over the appaling handling of mass cancellations of flights last month. “The process of sanctions for failing to inform passengers has been started,” a spokesperson for ENAC said, giving no details. It would appear that a number of Ryanair's cabin crew are planning to take industrial action over working conditions before going to work for one of the many rival airlines. This latest revelation came from a member of the aircrew talking to The Telegraph's Travel Desk. According to the paper, the staff member said: “It is written in our contracts that we are not allowed to be in unions, but colleagues from my base and not only [mine], are planning a strike before moving to Norwegian and easyJet." Whilst we can't immediately corroborate the information or ascertain the number of staff looking to take some form of action, we have spoken to two members of Ryanair staff, who are 'not surprised' that some colleagues are thinking about taking some form of strike action, say morale at the airline is 'as low as you can probably get'. Citing things like having to pay full price for water or snacks onboard, excessive sales targets, lowering commission and only being paid for flying hours, not reporting or on-duty hours. Ryanair doesn't consider turnarounds at airports duty time and so are not included in cabin crew's working hours. Also, little known outside the airline is that staff have to pay a monthly rental fee - for their uniform!